Great summary. Also need to add the Ontario Climate Action Plan. 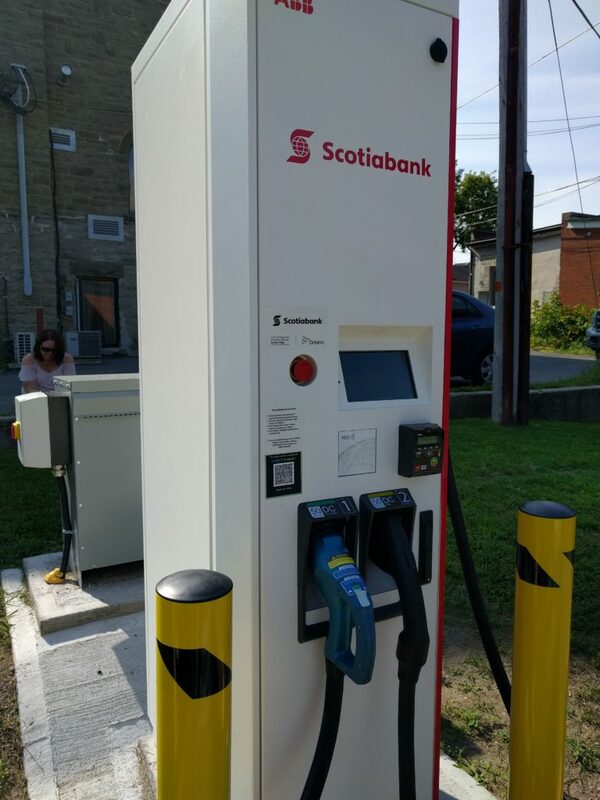 We were promised free overnight charging in 2016 for the program to start in 2017. Still has yet to start, and logistics appears to be the issue. Remind me to never go to a KSI charger. There are lots of free or MUCH reduced rate chargers out there. I understand that your Volkswagen dealer is pretty new to the game but the dealer could have helped make the EVIP an A. When I bought my Chevy Volt in 2014 my dealer handed me one extra page to sign that signed over my rebate to them and reduced the sticker price by an equal amount. While I dif have to wait on the charger rebate, the vehicle rebate was instant. I think most dealers would do this if they are familiar with the process. I know this is still a thing as I have heard co-workers talking about the same thing from other dealers in the GTA. Great summay of the situation. The lack of EVs available for purchase and slow KSI charger speed combined with high charging cost is annoying and definitely an EV market growth slowing factor. 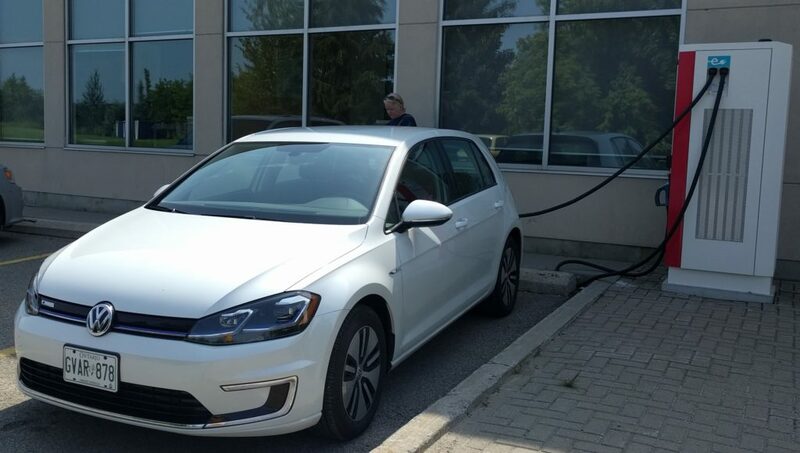 If Ontario is serious about reducing pollution, fighting climate change and giving ontarians a better EV environment, the Government, it is imperative that actions be taken by the government now to correct those problems. I think this delay is understandable and forgivable, it is hard to plan a large project like at well over 200 sites, some delay is inevitable. The EVCO program had no part in any of the roll-out planning – everything was deferred to the partners – they didn’t track anything, and seemed to have no power to do anything – from the contacts I had with them. So, for the most part, it is not 1 entity doing the planning, but instead many. KSI was reported to have been having financial problems (over committed?) and they also reduced their commitment, while, it would seem, not seeing a reduction in their funding. They also delayed roll-out of all of their stations until their app was finished … I suspect the Ontario tax payer and the EVCO program funded their application’s development. The other issue I have with KSI, is they seem to have favoured adding stations to areas that already were serviced – often introducing redundancy in areas that were serviced with reliable chargers (Markham and FLO network chargers in general), while leaving major areas without service – Highway 7, Barrie / 400 corridor, 401 East of the GTA to Kingston, and the Northern areas of York and Durham Regions (Aurora, Newmarket, Keswick, Port Perry, Beaverton, etc). Chargers were originally approved / committed for many of these areas, but later dropped, with no appear re-deployment of those funds to other partners who could have covered the commitments in those areas. I wonder if the fact that Canada is mostly 347/600V not 277/480V doesn’t help. Especially for higher power stations 347/600V would be better.